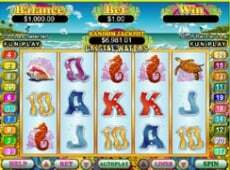 Megasaur Slot is the latest online slot from Real Time Gaming. 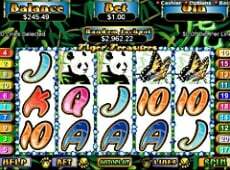 Ferocious Green and Red Megasaurs are grouped Wilds, and scattered Volcanoes award up to 50 free games. There's no room for other dinosaurs in the feature – if either of the Megasaur Wilds appear, they eat and replace any other dinosaur onscreen! 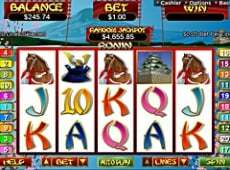 Jackpots can be won if they become active at the start of a Megasaur Feature. 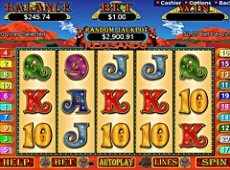 If the Mega Jackpot activates, 5 Volcanoes during the feature will win the entire mind-blowing Megasaur Jackpot! 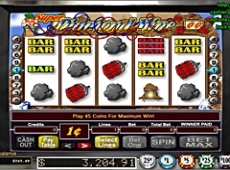 The Win-Win feature awards up to 250x your bet if you fail to win anything during the free games, and the Feature Guarantee system will ensure you never go longer than 250 spins without a feature! 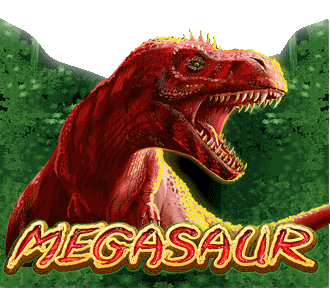 Get your heart racing, and return to the prehistoric jungle for some gargantuan prizes in Megasaur! 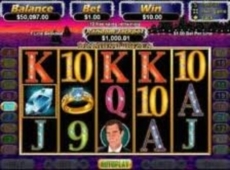 Game Launches August 18th 2015 with a HUGE $1 million Jackpot! 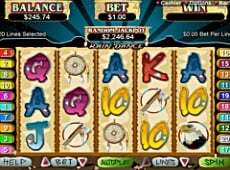 You can play Megasaur Slot at any of the following best Real Time Gaming (RTG) Online casinos. Many of them accepted players from US.